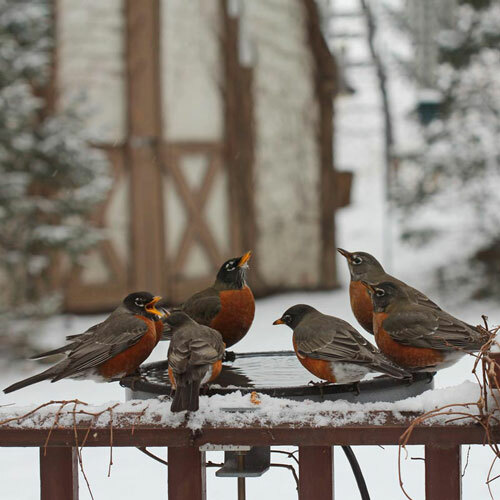 Birds need fresh, unfrozen water, for drinking and bathing during the harsh winter months. 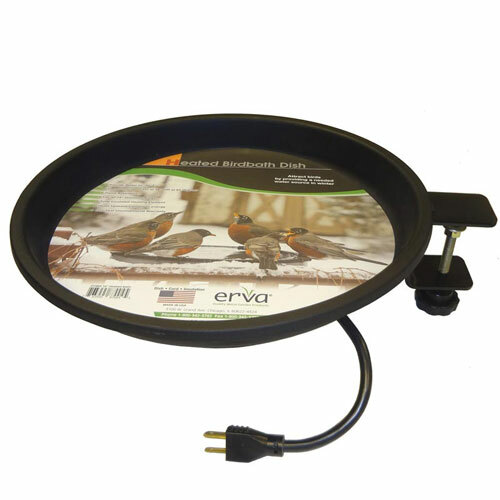 This easy-to-install heated bird bath will keep their water unfrozen—and give you a chance to watch the backyard birds during the winter. This bird bath clamps onto almost any surface. Constructed of flame retardant materials, the 60-watt controlled thermostat is ideal for all birds. Made in the USA. 14" diameter.